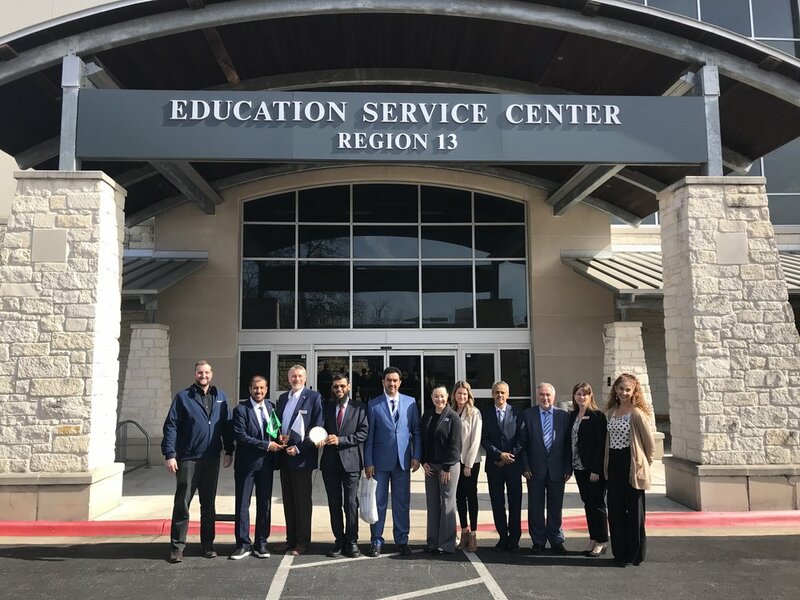 On January 14, the Texas International Education Consortium (TIEC) hosted a week-long delegation from Saudi Arabia’s Ministry of Education. The trip, which was a part of TIEC’s concierge services for study tours and delegation visits, was part of the Ministry’s effort to gain new insights and ideas to take home to Saudi Arabia. During the visit, the delegation met with several area school districts and visited pre-, elementary, middle and high schools. The group also met with school and district administrators and leaders, including in the New Braunfels Independent School District, the Eanes Independent School District, the Texas Education Agency and the Texas School for the Deaf to learn about Texas strategies and policies for teacher professional development, classroom and resource management and balancing teacher workloads. Topics discussed during the trip ranged from the philosophy of education supervision in the United States, to how schools collaborate with community institutions, to day-to-day maintenance at schools. While in Texas, the group also participated in cultural activities such as the Mexican American Cultural Center, a Texas Capitol Building visit, The Blanton Museum of Art, and more. The delegation left Texas on Saturday, January 19th. The group also visited countries ranging from Finland, South Korea, and the United Kingdom as part of a sustained effort to gain insights from a variety of countries around the world.